11.5" x 2.675" x 0.75"
28" x 10" x 3"
3" x 2" x 0.15"
38" x 14" x 14"
4.56" x 4.66" x 2.69"
8" x 2" x 0.75"
9.5" x 3.25" x 0.75"
The DIY art of the awesome wedding reception. The wedding ceremony is over, and now it’s time to party! The wedding reception is where everyone lets down their hair and celebrates. 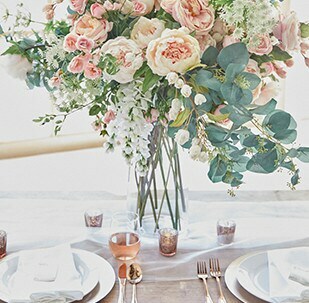 Set the tone with decor, flowers and favors you can DIY in your style. Once you pick your wedding reception venue, the fun part begins — deciding on your wedding decorations! Choose a wedding table centerpiece that makes the night’s theme stand out. Go formal with flowers and a candle, or add a fun accent with moss or papier-mâché letters in your — and your spouse’s — initials. 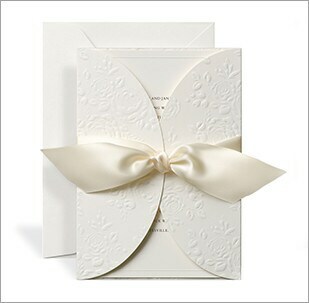 Decorate the gift or favor table with flower petals that complement your wedding bouquet. Table number holders and place card holders help wedding guests find their seats. Personalize each chair with ribbon, tulle and flowers in your favorite colors. Balloons, paper lanterns and streamers make any room feel festive, as do David Tutera banners with sweet messages like “Just Married” or “Happily Ever After.” If your theme is more rustic, go for chalkboards or wooden signs instead. Set your wedding table with stylish chargers and toasting glasses, and don’t forget to pick a special place for the wedding cake. Cutting it — with a pretty cake knife from the David Tutera Collection — will be one of the key moments of the day, so make it momentous with a cool cake stand and clever cake topper. 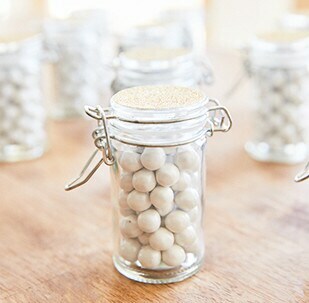 Favor your guests with cool little wedding gifts. Tea light holders, candy or tiny picture frames, packaged in David Tutera boxes, buckets or bags, are fun giveaways they’ll actually be happy to take home! Finally, pick what your wedding guests will toss as you make your getaway. Instead of rice, hand out birdseed stashed in paper cones or mini gift bags filled with colorful wedding confetti or flower petals. Another tip? Be sure and sign up for Wedding Rewards to get exclusive savings on whatever you need to DIY your wedding reception.